Dr. Janeway is praised by many as a “theorist-practitioner.” He has been an active venture capital investor for more than 40 years. He built and led the technology investment team at private equity firm Warburg Pincus, and his team provided financial backing to a series of critical contributions to the internet economy. On the theory and academia side, Dr. Janeway taught at various capacities across famous academic and research institutions like Princeton and Cambridge University. Dr. Janeway graduated from Princeton in 1965 as the Valedictorian of his class; he then received a Ph.D in Economics from Cambridge University where he was a Marshall Scholar. If you’re interested in learning more about Dr. Janeway, please visit billjaneway.com. 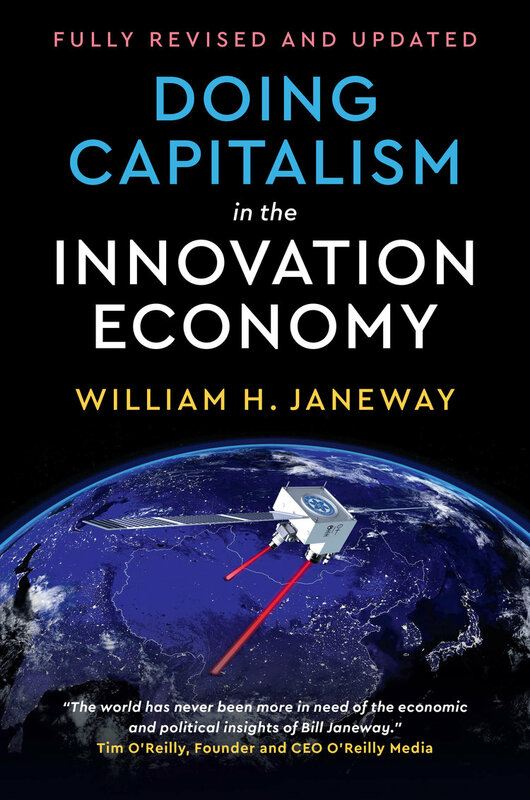 If you’d like to purchase a copy of Doing Capitalism in the Innovation Economy, please click on the image of the book to be directed to the Amazon page. Doing Capitalism in the Innovation Economy: Markets, Speculation, and the State. Click on image to purchase.